Just under a week ago, astronomers were able to capture an image of a black hole through much analysis and special telescopes. The image is significant in the science community, as it confirms the existence of black holes, which was predicted by Einstein’s theory of general relativity. It took nearly two years of analysis of images of the constellation Virgo to obtain these images. Analysis revealed that this black hole is located inside the galaxy known as Messier 87, which is over 53 million light years from Earth. The black hole is classified as supermassive, meaning it can be up to a billion times the mass of the Sun. The image was created by the Event Horizon Telescope, a virtual telescope consisting of a global network of eight radio telescopes. The telescope used interferometry, which means that the eight radio telescopes combined observations into one image. This arrangement allowed for the virtual telescope, which gathered over five petabytes of data in 2017. To put this in perspective, one petabyte is over a million gigabytes, which is why it took two years of analysis to find the image. The ring in the image appears to show the event horizon, which is the point where once passed, nothing can escape due to gravitational pull being so strong. However, it is actually the black hole’s shadow. This image is significant, and as Charles Alcock, director of the Harvard-Smithsonian Center for Astrophysics, said, “This is the first time we have an image of a black hole itself. This is a remarkable confirmation of more than a century of theoretical work”. As this year’s generation of phones are beginning to release, Samsung officially released its new set of Galaxy phones on March 8th after being available for pre-order since late February. 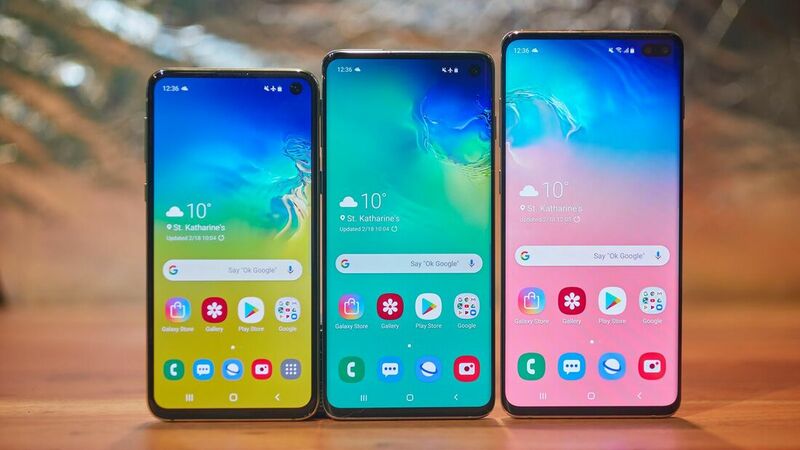 The three phones the company released are the Galaxy S10, S10E, and S10+. These three premium phones make huge advancements from the company’s previous generation of phones, and also introduce features not seen in any other phones. The S10 features a brand new design. On the front, there are almost no bezels on the S10 and S10+. These phones have high-resolution, big screens as well as edges that wrap around the phone’s sides - one of the trademark features of Samsung phones. On the cheaper S10e however, the bezels are larger and there are no curved edges. On all the three phones, a distinguishing feature is the “hole-punch camera”. In efforts to maximize the screen size and remove the bezels, these phones have their cameras in the top-right of the screen, which some prefer while others do not. One of the best features on the S10 and S10+ are the under screen fingerprint sensors. For many phones, there is a sensor on the back of the phone where you can unlock your phone using your fingerprint. However, with the S10 and S10+, users can unlock their phones by putting their finger on the screen, since the sensors are under the screens. While this feature is on some other phones as well, what isn’t is the technology used alongside these sensors. The S10 and S10+ use an ultrasonic fingerprint scanner, while other companies using in-screen fingerprint readers use optical scanners. The difference is mainly in security. The optic sensors used in other devices take a 2D photo of your fingerprint, while the ultrasonic fingerprint scanners bounce sound waves off the finger to detect the fingerprint. This is much more secure and also supposed to be faster. The S10e, however, has a scanner on the side of the phone instead. The S10+ and S10 also have three cameras on the back, while the S10e has two. Finally, another new feature is wireless powersharing. This feature allows other compatible devices to charge its battery by putting it on the back of the phone. This is a feature that is exciting and will be able to work with Samsung’s new wireless Galaxy Buds, as well as other phones. While these phones are great, they do cost a lot. The S10e starts at $749, the S10 starts at $899, and the S10+ costs $1000. Overall, the new Samsung phones are breakthrough devices that make drastic changes as well as exciting new features, that we hope to see in other phones coming out later this year. One topic that intrigues us in the constructivist learning theory, due to its unconventional yet exciting learning experiences. The constructivist learning theory states that people construct their learning and understanding of the world through their past experiences. Classrooms can implement this learning strategy through experiments and more hands-on learning rather than lectures. As a result of this, students are able to reflect on these experiments with classmates. The constructivist learning theory places a big emphasis on collaboration with peers and also communication with the teacher to enhance the learning. Rather than having students do the experiments individually, they instead are encouraged to work with peers to share ideas and learn from everyone’s experiences. Students work with data and different sources as part of their experience. Constructivist learning can be a huge benefit because it helps students with problem-solving and communication skills. While there is some guidance from a teacher, students are usually responsible for designing experiments and interpreting results, which is how it can help improve problem-solving. Additionally, constructivist learning can help students understand the real-world applications of the skills they are learning rather than just the theory. In typical classrooms, teachers may lecture and have students take notes, which can help with learning the concepts, but not the application of them or why they are important. This also makes the lessons more engaging and enjoyable for students than the traditional approach to learning. Overall, constructivist learning could be very beneficial and gain more traction if more classes employ it. STEAM Team is forming a Tech Team! We need a team of backend and frontend developers to work on a new project we're starting up. This project will entail developing a website to be used by both groups of STEAM Team: the elementary school liaisons (principals, teachers, whoever is in contact with the club from the school), and the high school clubs. It will be a communication platform designed to connect elementary schools looking to adopt STEAM Team programs and high school clubs that offer them. 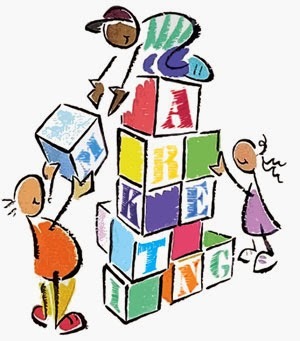 The purpose is to centralize the communication and initial connection aspect of STEAM Team on an online platform. **PLEASE NOTE: We are only looking for backend developers at the moment. If this is not something you feel confident that you can do given your abilities, we apologize, but we ask that you not apply for this position at the moment. The link to the application can be found here. We look forward to reading your applications! It’s that time of year again where new and exciting products are being showcased in the annual CES event. Big companies are displaying some of the new technology that is to be released in the future. One such product is LG’s 4K TV that rolls up and down from a base. This TV was announced last year, but now LG is finally going to start selling them. Not only is it extremely thin, but it’s rolling feature allows the TV to blend in seamlessly with the rest of the room, all while maintaining a 4K resolution. When you want to use it, the TV slowly rises up from a rectangular prism. When done using it, the TV slides down into this “box”. Although exciting, its price is expected to be very high - close to ten thousand dollars. This is a glaring problem to the regular consumer, but is still cool to see as it could pave the path for future TV’s. 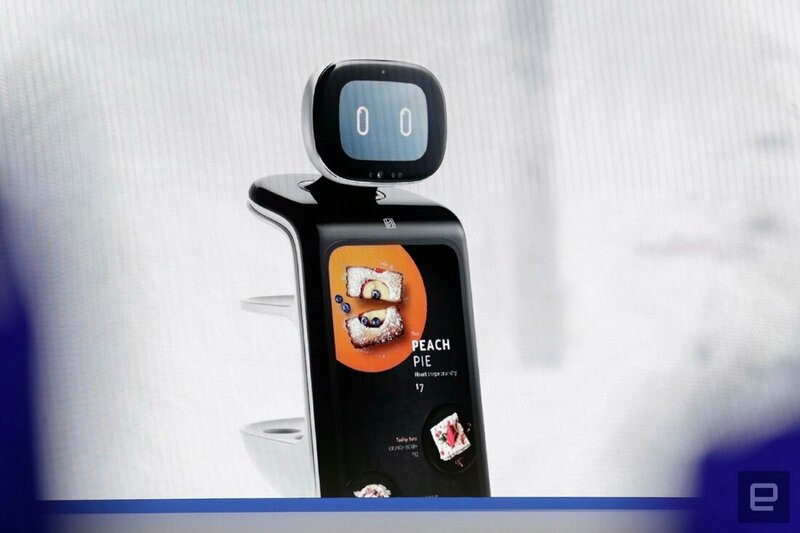 Another product showcased at CES was Samsung’s Bot Care robot. This robot, which does not have an expected release date yet, helps monitor the health of people. From what was seen at CES, the robot is able to read blood pressure and heart rate simply by placing a finger on a screen. The robot will then report these and note if they are within normal levels. There are also other features as well that help with the health of people. Because the robot is not too big, this product could be useful for elderly people at home. Additionally, it could be useful in hospitals as well, since having many of these would make it convenient to track the basic health of patients. While this product may not be released soon, it has the potential of being very beneficial and useful. Overall, CES showcased many great pieces of technology that we should keep an eye out for in the future. Newer and newer generations of smartphones keep on coming, with more options and features. However, one of the biggest upcoming features is… foldable smartphones? In a developer conference, Samsung showed off a prototype of a phone with a working folding screen. Samsung is calling it the “Infinity Flex Display”, and while this technology never existed in popular phones, some lesser-known companies have implemented it, such as Royole in their FlexPai phone. The phone itself will be able to open and close like a book. When it is closed, it appears to be a small and narrow phone, and when it is opened, it appears similar to a tablet. While the concept seems cool, there are a few problems that may arise. For example, the device itself may have a clunky design. During the developer conference, Samsung intentionally dimmed the lights so that people would not be able to see anything except the screens. However, some were able to get videos and pictures of the device during Samsung’s rehearsals. In these, it is clear to see that the device is thick and the bezels of the device are quite big as well. Another problem that is clear from the pictures is that when closed, the device has a small screen size. Finally, some are wondering whether or not this technology is actually useful. It is likely that users will have to sacrifice the actual phone design just to be able to have the foldability feature. This may not appeal to most consumers if they find the sacrifice not worth it. However, if Samsung is able to implement the technology well, people who enjoy new gadgets and maybe even some regular consumers will purchase the device. A phone with the technology is planned to release sometime next year, and we are hoping it is worth the hype. Just a week ago, Facebook took another major hit and is under controversy yet again. This time, there was a major security breach by someone who exploited a feature. This led the person to be able to gain access to about 50 million Facebook accounts, making this the company’s largest security breach ever. However, not much is known besides this. The people or person who hacked the system are unknown, and it is also unknown what information the hackers wanted. There are a plethora of different things the hackers could have used the information for, but we do not know what. Facebook is making efforts to try and find the perpetrators. However, this hack is not the only news concerning Facebook. A few days ago, users were getting messages from friends saying that they should check their account for suspicious activity, and forward the message to their friends. The message suggests that the friend got another friend request from them even though they are already friends, implying that their account got cloned. This cloning is actually real, and it occurs when a person copies pictures and information from someone’s account and then sends friend requests to their Facebook friends. These friends will likely accept the friend request thinking that it is actually them, and then the person who cloned the account can get personal information from the friends. While this cloning does happen occasionally, the messages that were spread a few days ago were a hoax, but people believe the messages and forward it to their friends, which causes people to be spammed by this message. It is advisable to just ignore these messages if you receive them. It seems like Facebook can’t catch a break with so many controversies, but hopefully, they will be able to bounce back and keep a good record for a while. Interesting New Feature to Smartphones. Throughout the years, smartphones have been getting more and more advanced and have been improving each year. This year will appear to be no different, as OnePlus is releasing its new flagship phone, the OnePlus 6T. The company has confirmed that this phone will contain an inbuilt fingerprint sensor built into the touchscreen of the phone, which is a feature that has not been implemented in for phones for quite a while. Consumers will be happy with this, as most smartphones usually have their fingerprint sensors on the back of the device in order to maximize the display dimensions on the front of the screen. Many believe that it is inconvenient to have to stretch your finger to the back of the phone. The 6T will also be slightly thicker than the previously released OnePlus phone, and some are even speculating that it may include a triple camera, which is a feature that could improve its camera quality a lot. We have only seen this in Huawei’s P20 Pro, which has turned out to have one of the best smartphone cameras due to the triple camera. It will be exciting to see if the OnePlus 6T will also implement this. This 6T is planned to be released during November of this year, and a few months after we will see the Samsung S10 be released as well. 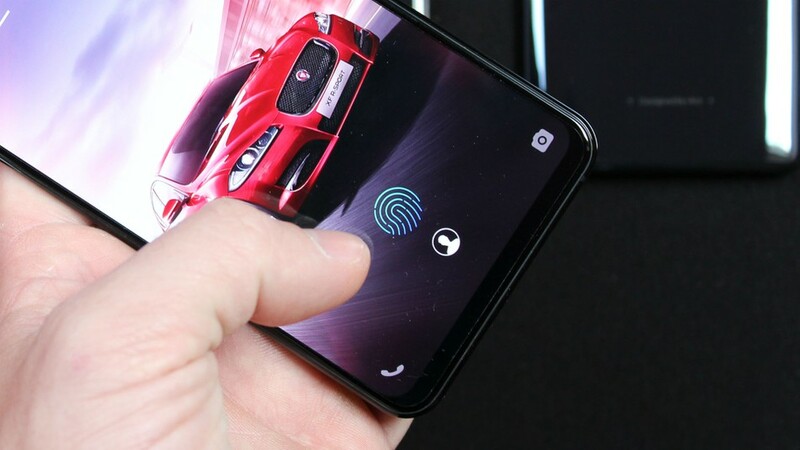 Mainly, the in-built fingerprint scanner is the most exciting feature as it could very well be implemented in new phones soon, an addition smartphone users will appreciate. Overall, we cannot wait to see this new addition, and if new phones also implement this feature. Recently, a Chinese tech company by the name of Huawei has come under even more controversy as security officials from the United Kingdom claim that Huawei phones could pose a risk to national security. In terms of everyday electronics, Huawei is known for its smartphones and laptops. Although not popular in the United States, Huawei is extremely popular in other countries - and the company itself is very successful. The main reason they are not popular in the United States is because of statements in February by US intelligence chiefs discouraging citizens from using Huawei’s gadgets. Their reasoning was that it is not safe to trust a company attached to a foreign government. Using their phones allows Huawei to gain power in our telecommunications infrastructure, which allows them to modify or steal information. After these statements came out, Huawei phones became locked out of the USA, as stores stopped selling them. One of their most recent smartphones, the P20 Pro, is actually very highly acclaimed, and reviews show that it is comparable to the Samsung S9 and Google Pixel 2, if not better. 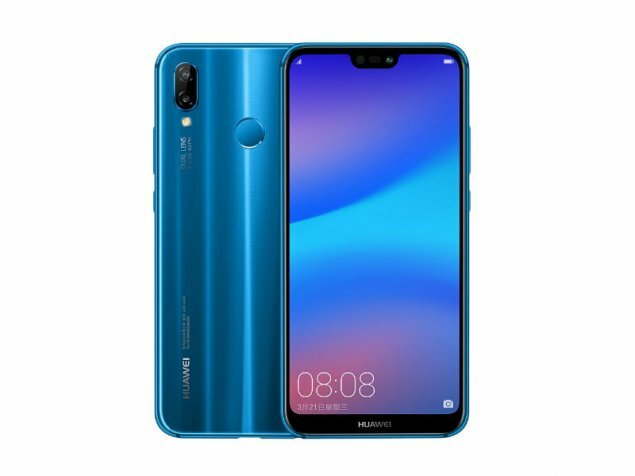 While Huawei phones are somewhat common in the United Kingdom, they may not be for long. As stated earlier, security officials in the UK say that Huawei phones may not be completely safe for national security. A recent report showed that “Huawei’s engineering processes have exposed new risks in the UK telecommunication networks”, meaning that Huawei has posed risks in the telecommunication networks of the UK. In response to this, a Huawei spokesperson stated that they will work on improving their engineering processes. In another year, another report will show any new findings. It will be interesting to see if any stores or phone providers in the UK will stop selling Huawei phones, or if the nation will not take any precautions prohibiting the sales of these devices. If this does turn out to be more serious, we could see huge declines in Huawei’s success. For now, however, while Huawei has good phones, its best to stay away from them. With back to school emerging, we are seeing new and interesting products being released that are targeted towards students. One such product is Microsoft’s new Surface Go, which is a laptop designed for everyday tasks. It brings the functionality of a laptop with excellent portability, as it has a small 10-inch display and its keyboard can detach to make it a touchscreen tablet. The Surface Go is planned to be released on August 2 and is currently available for preorder online. It has a relatively low price when compared with its brothers, the Surface Pro, Surface Book, and Surface Laptop, as the price for the base model is only $400. What differentiates itself from the other Surface models is its price tag and specs. While the other Surface models have nice features and specs, they also have quite a big price tag which makes them not suitable for small, everyday tasks. The cheapest Surface model besides the Surface Go is the Surface Pro, which starts at $749. Although it is inexpensive, the Surface Go does not have specs that are that bad. Its graphics processing unit is decent for the price point, and it has a good amount of memory as well. Besides that, most of the other features are average or subpar. The specs are good enough for students, and its touchscreen and ability to fold and detach makes it a good product for graphic designers as well. Unfortunately, one drawback is its $399 price is a bit of a ploy by Microsoft. Most users will opt for the $549 model instead, as the $399 model has an eMMC drive, which is quite slower than the SSD included in the more expensive version. 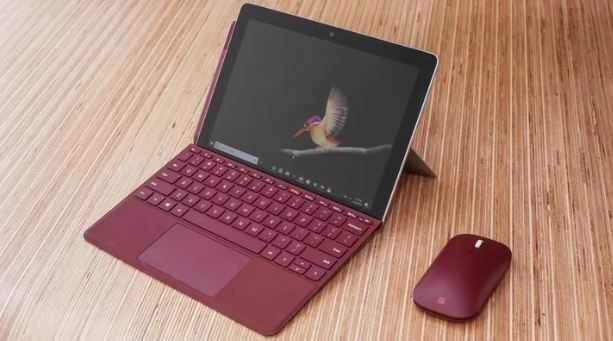 Additionally, the keyboard for the Surface Go is not included with the device, so consumers will have to pay at least an additional $99 to buy it as well. A mouse and stylus are also not included, so that may be an additional cost for users who want those as well. Overall, the Surface Go is a great and unique device for students and designers, but its seemingly low price does not include additional expenses that could make this device quite more expensive. Will you order one for yourself? Elevating Taxi Services… to The Air? With all the new ambitious goals put by companies, it is no surprise to now see Uber’s concept of flying cars. Around two weeks ago, Uber announced that it will be building aircrafts that will be used to transport people in France. This will go hand in hand with UberAir, a service that will bring urban air transport to cities such as Dallas and Los Angeles. Although these plans seem great, it will be hard to actually get these flying cars, as they obviously do not yet exist. 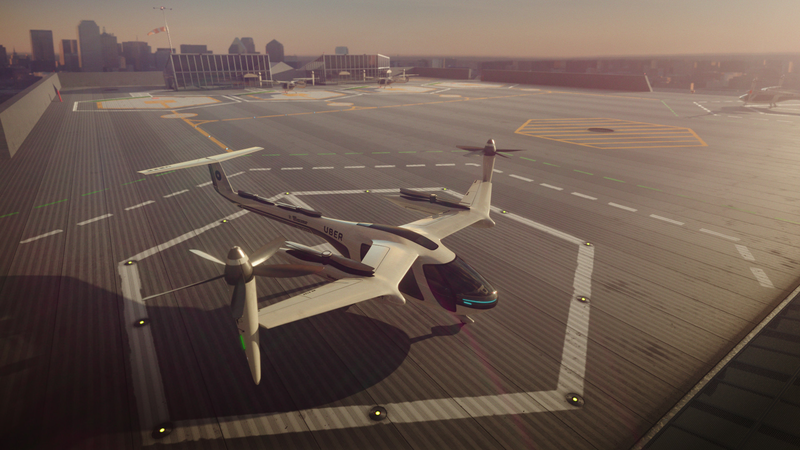 Uber has stated that the eVTOL, which stands for electric vertical take-off landing, will be able to go 60 miles per charge. Additionally, Uber has stated that after a while, rides in the eVOTL will be around the same as a normal Uber car ride of the same distance. This is surprising to hear, considering the price to manufacture these aircrafts will not be cheap, and being able to pay people who will take on this type of job will also play a factor in how difficult it will be to make the service low cost, especially since pilots will be required. If Uber is able to get past the barriers and launch this service, however, this service can be extraordinary. 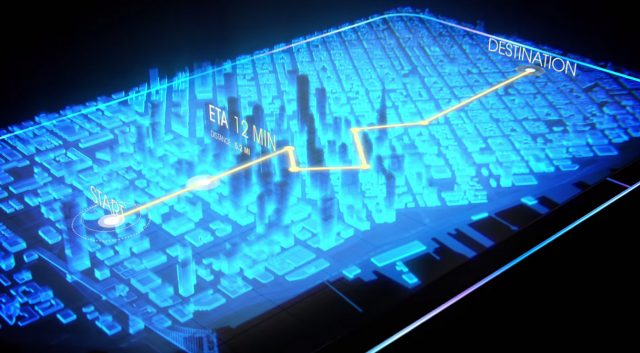 It will be able to provide extremely quick rides, which is great during commute times and longer rides. Additionally, the vehicles used will not be loud. In fact, one of the reasons why helicopters are not viable in this situation is because of their loud noise. Also, Uber aims for low emissions. Overall, it will be cool to see this and other similar air vehicles develop, such as SpaceX and Virgin Galactic machines, and it will be interesting to see if Uber can live up to their promise of launching this service commercially by 2023. The debate between Samsung and Apple has been a big one, yet, legally, Apple has won. After seven years, Apple has finally won a court case involving patent infringements by Samsung. Back in April of 2011, Apple filed a lawsuit against Samsung due to their belief that Samsung was trying to copy the design of Apple’s iPads and iPhones. Just under two weeks ago, a California jury ruled that Samsung had indeed infringed on three of Apple’s design patents as well as two of its utility patents. The design patents covered how its products looked, while the utility patents protected the way its products functioned. The jury ruled that Samsung owes Apple over $539 million. Over the course of these seven years, there have been several other court rulings. In 2012, a jury trial rewarded Apple $1.049 billion due to Samsung’s infringements. However, after appeals and other complications, Apple was awarded $290 million. In 2016 however, the Supreme Court overruled the decision from the first trial, stating that the design patents could just be referring to the case and screen. A retrial was decided in late 2017, and it was this that recently awarded Apple. Several other lawsuits also took place outside of the United States. Although Apple was victorious, they are still a bit unhappy with how much money they were awarded. Apple believed that they deserved just over $1 billion. This was an exorbitant amount compared to the $28 million that Samsung believed was fair to give to Apple for infringing their patents. The recent ruling will not have a much of an impact on customers, as both companies will be able to change features as to not infringe any patents. Additionally, no sales ban will likely be put in place. However, this could set the tone and heighten the rivalry between Samsung and Apple, which is always interesting! Being extremely hyped, the Red Hydrogen One will be one of the most interesting pieces of technology. This phone, running on Android OS, is coming out during summer, and while not having the best specifications overall, the Hydrogen One is special in that it has a hologram-like display by projecting 3D images on its screen. Additionally, people will not need to use any special glasses or other objects to view the screen in 3D. While the 3D display may not seem too practical, it can be useful in some circumstances. For example, video chat between two people who have the phone will allow people to see each other in 3D, adding depth. Additionally, games on this device will allow users to be more immersed. If the user chooses, you can also switch to view everything on the screen at 2D. 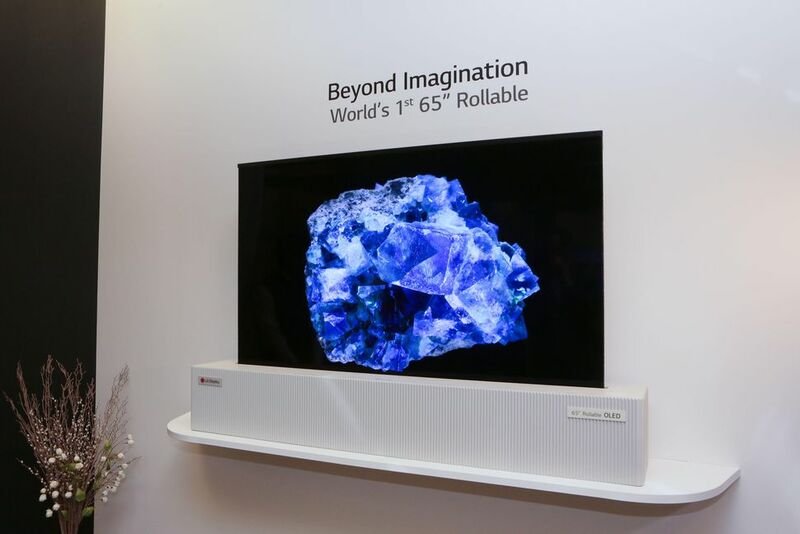 In addition to the display being innovative, the audio converts stereo sound into multi-dimensional sound. The phone will be sold by AT&T and Verizon and will cost $1195 for the aluminum model and $1595 for the titanium model. Just recently, Red allowed some people to come to their studio to test out the phone. Many reporters and journalists who visited have said that the phone was very impressive and cool. Unfortunately, those who visited were not allowed to take a picture of the front of the phone because the holographic view would not show very well in 2D images. However, many have noted that the phone itself is quite big and heavy. This is in part due to the fact that this is a modular phone, meaning that users will easily be able to add components to the phone in the future, such as components to shoot motion pictures at higher quality. Because of the heavy price tag, this phone will be more targeted towards content creators who want enhanced videos and 3D video files, rather than the everyday user. It will be very interesting to see how well this phone does when it is released, and we will see if it truly does add another ‘perspective’ to the smartphone industry. With space exploration continuing to grow, NASA has been pushing more space crafts and research. In fact, just recently, NASA has launched its InSight robotic lander, which will study the physical interior structure of Mars. This lander launched on May 5th and will land at Mars on November 26th, 2018. It will examine the creation of Mars from 4.5 billion years ago and study the inner space of Mars. By studying this, scientists will able to learn more about the formation of other planets as well. The InSight will also be able to detect any past meteoric or tectonic activity on Mars. As NASA’s website states, their goals are to “understand the formation and evolution of terrestrial planets through investigation of the interior structure and processes of Mars” and “determine the present level of tectonic activity and meteorite impact rate on Mars”. The same rocket that launched the InSight is also launched the Mars Cube One, which is a mini piece of equipment for communication in space. NASA hopes that the Cube One may also be able to relay information from the InSight to Earth. The InSight will take a sonogram of Mars to learn about how the planets in our solar system can form. The InSight and the Cube One were both launched on the Atlas V rocket, and the mission in total costs over 813 million dollars. Overall, this mission may not be the most beneficial towards putting people on Mars, but it is essential to learn about the formation of our planets. This mission will add to our extensive knowledge of the solar system, and we may even get some cool new information from it! Although less than half of the consumers have used the first version of this piece of eyewear after the first month of purchase, Snapchat has released the second version of the Snapchat Spectacles. These sunglasses have small lenses on them, which allow for the user to take circular photos or videos. They are made to remove the hassle of having to pull out a phone and then take a picture, or if you are doing something that may not allow you to hold a phone, the Spectacles may come in handy. They can sync with your phone through Bluetooth, and you can then share the photos on Snapchat or save the picture to your phone. ​These newer Spectacles add more features to the previous version. For example, unlike the older version, these Spectacles are water resistant and come in more colors. Additionally, the design is much better and the syncing is much faster. Essentially, most of the flaws of the previous version have been fixed. However, the newer version is more expensive, costing $150, $20 more than the 1st version. Previously, the process of transferring images and videos from the Spectacles to the phone took a long while, but now the download speeds are three to four times as fast. Prescription versions of the Spectacles are also available. So far, the Spectacles have not received great reviews. Whilst it has improved, people are still not impressed by several things, such as the fact that the photos first have to be imported to Snapchat. Additionally, people complain that the transfer from the Spectacles to a phone is inefficient, and in most situations it would be more convenient to just pull out your smartphone and take a picture. Some also complain that the video quality is not be as good as it should be. Overall, the Spectacles have improved yet still is lacking in some categories. Despite this, there is still huge potential, and they could become great once these problems are fixed. Until then, it seems like you should stick to using your smartphone. 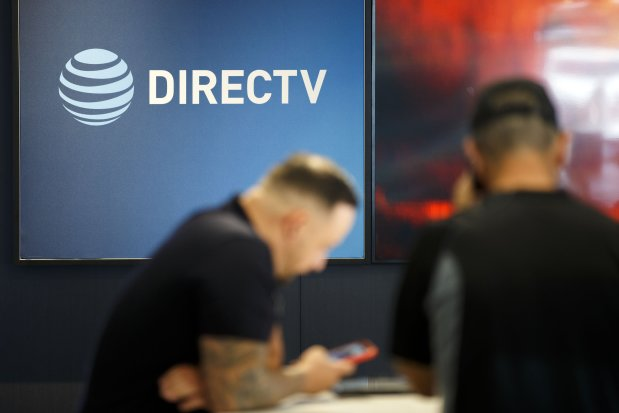 As AT&T is in the process of buying entertainment company Time Warner, they have announced its plan to release a live streaming bundle for television. This bundle will include a smaller amount of channels but will be one of the cheapest options, as it will cost only $15 a month. This was announced during a court case between AT&T and the Justice Department. 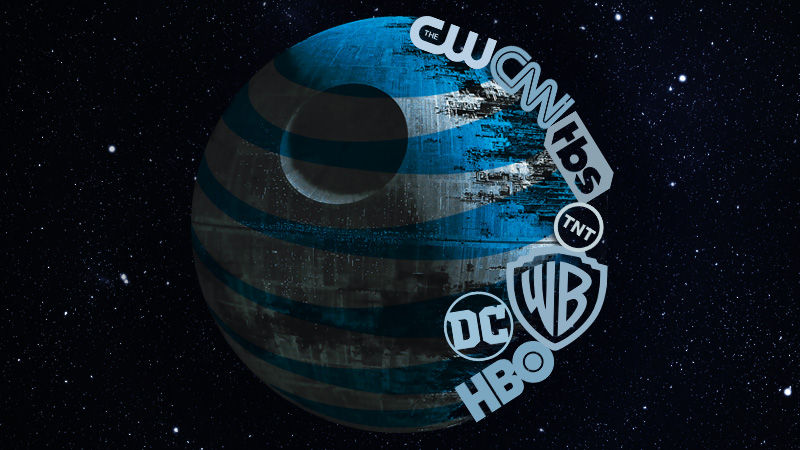 The Justice Department is trying to stop AT&T from buying Time Warner, as Time Warner owns creators such as HBO, CNN, and TNT. If AT&T were to buy Time Warner, they would also own these creators and would be able to air these channels only on AT&T bundles. The Justice Department argues that AT&T owning Time Warner would harm competitors, and these competitors would be forced to follow AT&T’s terms if they wanted to air the channels that AT&T owns. They also argue that it would be harmful to have too much power in one company. AT&T is specifically wanting to buy Time Warner to compete with companies such as Netflix and Amazon. AT&T pointed to their plan to release AT&T Watch as an example as to why buying Time Warner would be beneficial for consumers. AT&T Watch would offer a low price alternative to the current DirecTV Now, which costs $35 a month. AT&T Watch will also be free for subscribers of AT&T wireless. One big catch is that AT&T Watch will not include any sports channels, and the channels it will include has yet to be announced. It is planned to be released in the next few weeks. It is interesting to see how the court case will pan out, and to see if AT&T Watch is any good. What do you think - should AT&T be allowed to buy Time Warner? As space travel is gaining popularity, spaceflight company Virgin Galactic recently successfully landed the first rocket-powered flight. The aircraft, called Unity, reached supersonic speeds and has flown previously several times, but this is the first time it was a successful powered flight. Essentially, there is a big plane which carries the smaller Unity into the air, and then the Unity uses its own engine to fly. During this flight, the aircraft flew to a max altitude of over 80,000 feet in the sky, and accelerated to over 1430 miles per hour! Four years ago, Virgin Atlantic attempted a powered flight, but it resulted in a crash, leading to a fatality and an injury. On this recent flight, there were two people on board. In the future, Virgin Galactic actually plans to send passengers willing to pay a hefty $250,000 up to space at around 60 miles above the Earth’s surface. Despite the big price tag, 700 customers have already signed up to be passengers. Although this flight did not quite go far into space, it is still monumental for the company as it means they can completely focus on rocket-powered flights. Virgin Galactic aims to improve access to space and possibly to help with travel within Earth. The founder of the Virgin Group, Richard Branson, has suggested that it is highly likely that Virgin Galactic will launch into space within the next few months. Virgin Galactic and Richard Branson have aspirations very similar to that of SpaceX and Elon Musk. Both companies are pushing the boundaries of space exploration and bringing it to everyone. It is interesting to see which company will first have passengers who paid for a flight brought to space. Additionally, we are curious to see if any other companies join the push to advance space travel, and how far companies like Virgin Galactic will push space exploration. Just a few weeks ago, Uber halted their self-driving program in several cities after a self-driving Uber vehicle crashed into a woman, causing her death. Now, unfortunately, another death has been caused by a self-driving feature on a car. 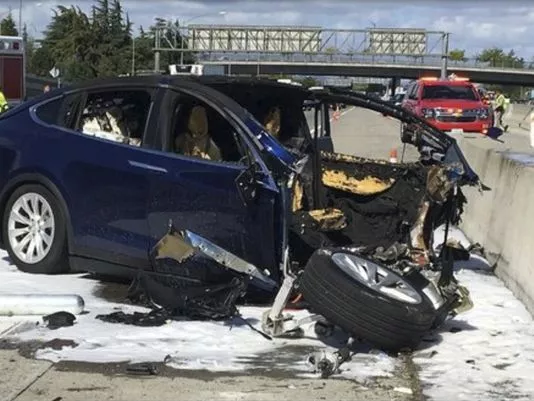 This time, it was Tesla’s Model X, which had its autopilot mode on, that crashed into a concrete barrier on a highway, leading to the fatality of the driver. This crash occurred on March 23rd and is the second crash leading to a death in America involving a Tesla car using the autopilot feature. While the autopilot feature is able to perform many capabilities that a human driver is able to, Tesla does remind its customers that the autopilot is not a replacement for a human driver and that you must pay attention to the road at all times. This crash could have been avoided if the driver was paying attention; according to Tesla the driver of the car had about 5 seconds of clear sight of the barrier before the crash. Additionally, the driver’s hands were not placed on the wheel for 6 seconds prior to the crash. This means that the driver was likely not paying attention to the road and depended solely on the car to drive itself to the destination. When the autopilot is turned on, and your hands are not detected on the steering wheel for a prolonged period, the car gives several warnings before stopping. In the case of this driver, throughout the drive, several warning were given to the driver to put his hands on the wheel. While The National Highway Traffic Safety Administration ruled that because Tesla’s system was working as advertised and Tesla should not be penalized, The National Transportation Safety Board has stated that Tesla does deserve some blame because, like many critics also believe, the autopilot mode convinces the user that it is better than it actually is, and is too easy to misuse. Especially since this incident is just recently after the Uber self-driving incident, it is easy to see why some people want the stop or slowing down of the advancing of self-driving technology. Tesla has addressed these concerns by pointing to a government report that shows the autopilot feature has reduced crash rates for Tesla vehicles by over 40%. The report also shows that the fatal crash rate for Tesla vehicles with autopilot capabilities is about 3.7 times better than the national average. It does seem like Tesla will get out of this situation without much blame, but the reputation of self-driving technology seems to be dropping due to this incident and prior ones. Tell us what you think in the comments below! One of the biggest social media networks, Facebook, has recently been under heavy criticism after they exposed data for over 50 million Facebook users to a company called Cambridge Analytica, who happen to be the company that worked on Donald Trump’s presidential campaign. This all began in 2014, when researcher at Cambridge University, Aleksandr Kogan, paid people to take a psychological quiz. However, this quiz collected data on your friends, and participants did not know how much data was collected. Through this, Kogan was able to collect data on about 50 million Facebook users, and he then gave this information to Cambridge Analytica. This was only recently figured out after a Cambridge Analytica whistleblower by the name of Christopher Wylie spoke out. Wylie also claimed that the data was used to sway people towards pro-Trump during the elections. ​ In addition to the data possibly being used to influence the 2016 presidential election, the data may have also been used to influence the Brexit vote. Facebook has been under heavy criticism, especially after Facebook CEO Mark Zuckerberg did not respond for a while. He has recently come out with an interview saying sorry, however, after this, Facebook has fallen in stock price. Many people want Mark Zuckerberg to testify before Congress on how Facebook will protect the privacy and data of its users. Additionally, many celebrities have condemned Facebook and have even planned to delete their Facebook accounts. For example, Elon Musk has deleted Tesla’s and SpaceX’s Facebook accounts, one of the reasons being it’s hard to access Facebook while going to Mars. Brian Acton, Whatsapp co-founder, has also deleted his Facebook account, despite Whatsapp being a subsidiary of Facebook. Many have joined the #DeleteFacebook movement as well. While you are able to see your Facebook data that may have been exposed, and Facebook may try to contact those whose data got exposed, we will have to see in the upcoming weeks what impact this event has on the future of Facebook. Tech Spotlight 5: Nintendo Labo: Innovative or Years Behind Its Time? "It is an exciting evolution of the Nintendo Switch platform -- one designed to inspire curiosity, creativity and imagination in people of all ages,” as the Nintendo America CEO has stated. In just over a month, the popular and successful video game company, Nintendo, is releasing a new innovative and creative video game console accessory called the Nintendo Labo - a cardboard box. In all seriousness, despite being made out of cardboard, the Nintendo Labo is a cool way for a younger audience to be able to use their creativity to create different gadgets, called toy-cons. The Labo is planned to be released on April 20th of this year. Essentially, when you buy the labo, you get sheets of cardboard which are easily foldable and have markings that will allow you to easily form different toy-cons. Because it is designed to be paired with Nintendo’s gaming console called the Nintendo Switch, you will need the Switch to be able to have the full functionality of the Labo. The Switch will have instructions on how to build the different toy-cons. Some of these toy-cons that have been revealed so far include a mini-piano, and handles similar to that on a motorcycle, so you can use the handles in real life to steer in a racing game when playing on the Switch. After building a toy-con using the instructions on the switch, you put the Switch device into the slot of the toy-con, and the toy-con will be fully functional. The Labo starts at about $70, but there are other, separate expansion sets as well that may add to the cost. So far, there have been very mixed reviews. Some laugh at the idea of paying 70 dollars for, physically, cardboard. Most notably, famous Youtuber “NigaHiga” has made a video mocking how the Labo seems to be behind its time, as this ‘video game accessory’ requires you to use cardboard to build things - and still costs $70. However, others do claim that the Labo is excellent because it encourages creativity and hands-on-experience for younger children. Despite having to build the toy-cons yourself, it is impressive and satisfying to see something, that was at first just a sheet of cardboard, ‘come to life’. Because of the mixed reviews, people are unsure what to expect, but we are sure that many are anxious to see how successful this accessory becomes. “Our goal is to improve global health and activity rates by creating better, more social fitness experiences”, as fitness company Gixo states. Gixo is a subscription-based fitness that app can be installed on IOS or Android devices. The beauty of Gixo is that rather than having to buy a gym membership or own gym equipment, you can participate in classes anywhere you want, of which there are over 150 live classes each week that do not require any gym equipment. While you are in the live class, there will be a coach that is also connected, and will be able to guide you through audio or video. Additionally, other participants will be tuned in, and music will be playing to provide entertainment while you are working out. Because coaches can see how you do during the live exercise, they can give you feedback after the workout as well. Each class takes either 15, 25, or 40 minutes, depending on the activity. As for pricing, Gixo is very inexpensive compared to what a gym membership costs. While a high-end gym membership can cost up to $250 a month, a monthly subscription costs either $19.99 or $14.99, depending on if you are signing up for just one month, or a year. This low price point also means that one month of Gixo is less expensive than the price of one premium studio class. Not only that, but you are able to sign up for a 7 day trial for free, and be able to see if Gixo is right for you! So, not only is Gixo more convenient than going to a gym or using your own gym equipment, it is a lot more inexpensive. One of the key components to the success of Gixo is the company’s care for quality and true care for the fitness of others. The coaches who work for Gixo are all trained, group fitness experts who are fully capable of leading live classes. Rather than having a huge amount of coaches, Gixo has a handful of passionate and hardworking coaches. Also, Gixo hosts different virtual programs. 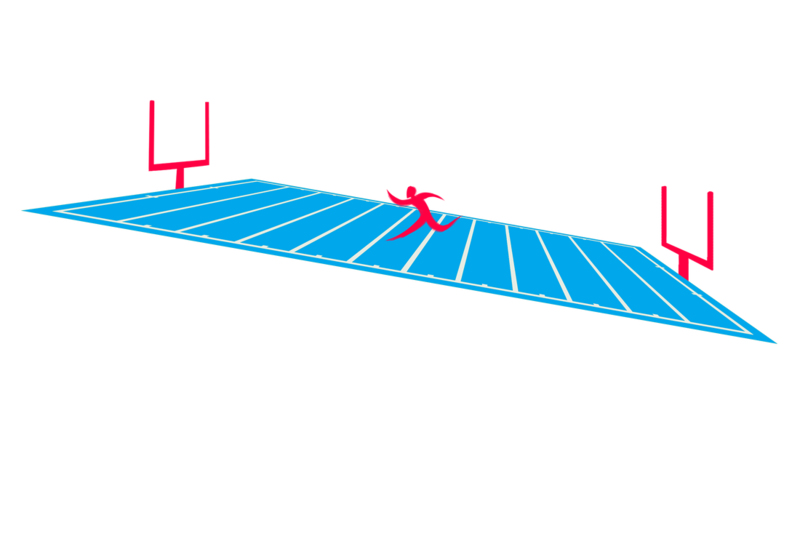 For example, on May 5th, 2018, you can join a virtual 5k or 10k event in which other teammates will also be participating in at the same time. While you are doing the run, the professional coaches will be able to see your progress, encourage you, and give you tips all while your running. The best thing is that all of this can happen while you are running wherever you want! The fact that coaches are able to see your progress and give you tips shows proof of how motivated Gixo is to helping you with your fitness. While the idea and concept is excellent, because Gixo is based on the community and the people, it is important that people are using the app or like the concept of it. The good thing is, the community and most people are looking to apps such as Gixo since they are beneficial and useful for their daily lives. As a matter of fact, research by Flurry Analytics has shown that wearables and workout fitness apps have grown massive popularity in recent years; the usage rate of them has grown by over 330%. Additionally, when people are focusing on important things such as their fitness and health, they want a personalized experience that can be tailored to them. While a gym membership rarely gives that feeling, an app like Gixo is able to give the user customization on what type of workout they get, and feedback from a coach. Not only that, but because Gixo is not expensive, friends will be inclined to join your classes, making your fitness activities more enjoyable. So, overall, the community and people do like the idea and are using Gixo, which is what makes Gixo so great. As the prestigious transportation company, Uber, has been growing rapidly, they have decided to expand their services into health. As reported by the Community Transportation Association, every year, there are approximately 3.6 million people living in America who miss doctor appointments because of a transportation issue. The company Uber has addressed this issue after deciding to launch Uber Health on March 1st, subsequent to being in beta since last July. Uber Health is a service designed to help take patients from and to hospitals. This is important as it prevents people from being late to their appointments, especially for older people, and it can even help take people back from hospitals after operations. Uber Health is already being used in over 100 different healthcare organizations, and healthcare professionals can get a ride for their patients. Although it is similar to the normal Uber services, Uber Health has additional features that are designed to make it more useful for health situations. For example, people are able to schedule a ride immediately, or schedule for one in up to thirty days. Additionally, many elderly people do not have access to a smartphone, so Uber Health allows you to have any phone - unlike the regular Uber services. ​ With Google and Amazon already having successful smart speakers on the market, consumers wonder what makes the HomePod stand out. One of the most valuable features of the HomePod is its high performance for music. The HomePod is the superior speaker, with spatial awareness to make give the most optimal sound. Inside of the HomePod are seven tweeters, which means the sound quality will be consistent no matter which direction you are located relative to the speaker. In addition to this, an algorithm analyzes the music and is able to make adjustments. Meanwhile, although they are able to play music, the Google Home and Amazon Echo are more focused to being home assistants. The HomePod does use Siri as its home assistant, which does not have as many capabilities as its competitors. The HomePod is able to provide answers to some questions, and activate some smart appliances. However, for example, the HomePod is not able to call an Uber, which the Echo is able to do. The Google Home goes for $39 for the mini version, $129 for the normal version, and $399 for the “max” version. Amazon also has a similar approach of having several different models; the Echo Dot costs $49, the Echo is $99, and the Echo Plus is $145. Amazon also has the Echo Spot and Echo Show, for $130 and $230. Apple only has one model of the HomePod at the moment. ​After being released, the Amazon HomePod has been receiving mixed reviews. Most are impressed by the sound quality of the HomePod, but feel that Siri is lackluster compared to other home assistants. This, paired with the very high price point, leaves many feeling that it is not worth it - and it is probably better to get a different smart speaker. Those who are supportive of the HomePod claim that it is an excellent smart speaker because of its superb sound quality, and is a great choice for people who often listen to music. Overall, the HomePod has been a different smart speaker, receiving mixed reviews - but let us know what you think of it! The latest STEAM Team updates. Also check our social media pages for updates and more information (see bottom of site).